Altamonte Springs, FL (CelebrityAccess) – Multi-award-winning record producer, Doc Holiday, calls Terri Matern “The Newest Star in the Nashville Sky.” Since she first set foot in Nashville’s Quad Studios in May 2014, she has collaborated with some of country music’s biggest icons like Doug “The Ragin’ Cajun” Kershaw, and released a Top 50 single. Terri Matern’s debut album, “The Voice, The Songs; Terri Matern” is a collection of country and Adult Contemporary tracks produced by Doc Holiday and written by songwriter Doug Matern, her partner in music and marriage. Her first single “Party Thru the Night” (featuring “The Ragin’ Cajun” Doug Kershaw) broke the US Top 50 within just 6 weeks of its release and continues to climb the charts. 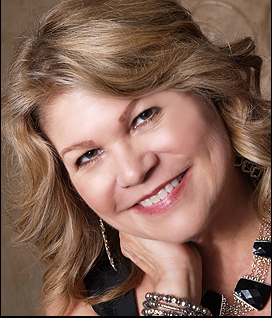 But despite her rapid success, Terri Matern is not your typical Nashville diva. “I always had a secret fantasy of being onstage singing,” Matern says. “But it was just that – a fantasy.” Until Matern began recording her album, she was a mom who put family first, while singing with her husband Doug for sheer enjoyment. With the kids grown up and in the work force, Matern took a leap of faith and launched the music career she’s always dreamed of. Matern’s influences include Merilee Rush, Dusty Springfield, Mary Ann Faithful, Miranda Lambert, and Tracy Chapman, as well as her own Southern roots. The Voice, the Songs, Terri Matern releases early November 2014, and will be available for download on iTunes and Amazon.com.